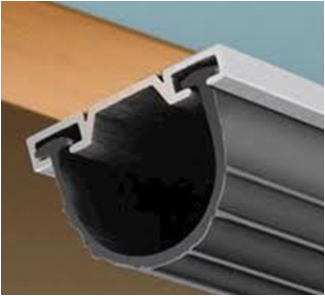 We carry different types of high quality and effective bottom weatherstripping for whatever type of garage door you have: residential, commercial, industrial or agricultural. 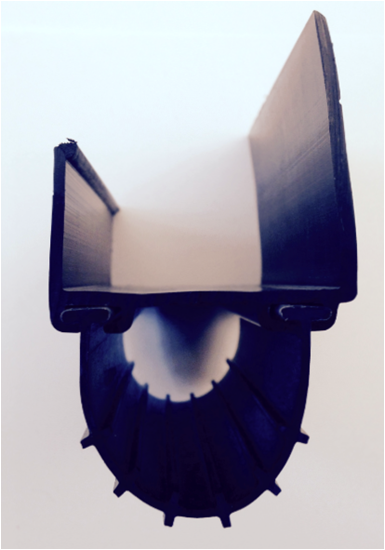 We have a U-shaped bottom weather seal mounted in an extruded PVC retainer. The weather seal is made of T.P.E. 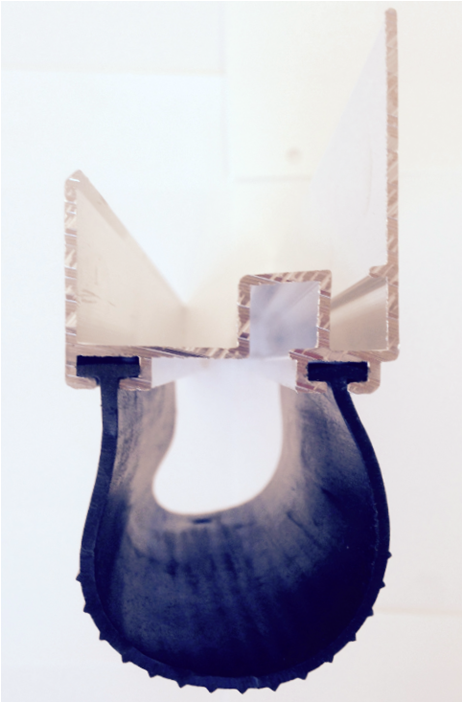 (thermoplastic elastomer) and it ensures the water-tightness of the threshold. It remains flexible and watertight in the coldest weather, down to -62°F (-52°C). We also have a U-shaped bottom weather seal mounted in an aluminum retainer for heavy-duty use. The weather seal is made of T.P.E. (thermoplastic elastomer) and it ensures the water-tightness of the threshold. It remains flexible and watertight in the coldest weather, down to -62°F (-52°C). To make sure you are buying the right replacement part, we recommend you contact us to evaluate your current setup. We can also provide you with a free written quotation. Can I replace my bottom weatherstripping myself? 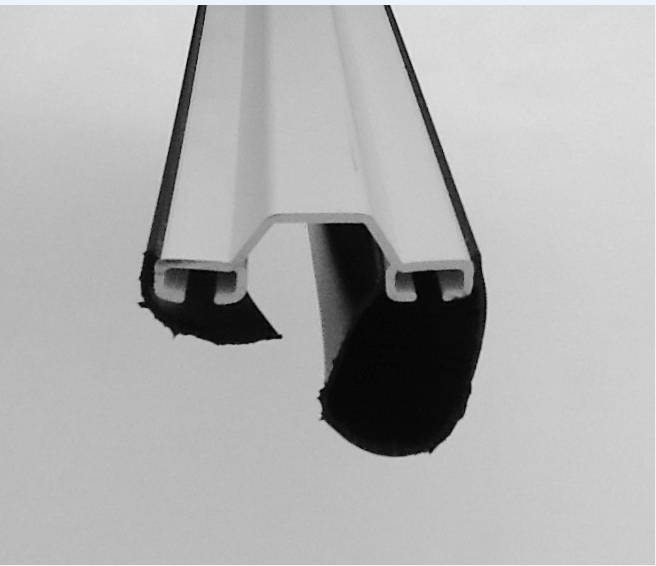 Yes… Whether what you currently have on your door is made in one piece (base + U‑shaped weatherstripping) or in two (PVC or aluminum base + U‑shaped weatherstripping), we have the replacement parts you need. In addition, it would be our pleasure to give you some tips to make the installation easier. Are all U‑shaped weatherstripping models the same? No… We use products that stand up to harsh Canadian winters. To convince you of this, ask for a sample of weatherstripping that is more economic than what we carry, and put it in your freezer for 48 hours. Then, take it out and examine the elasticity of the strip. You’ll be surprised by the low quality of some U-shaped weatherstripping found on the market today. We recommend reading the general instructions for maintenance of your garage door. 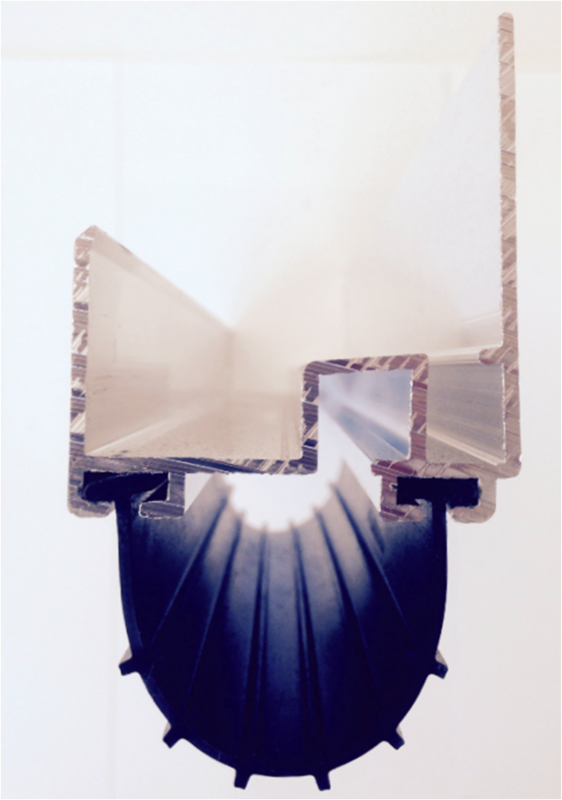 Don’t forget an important point: U-shaped weatherstripping is made of PVC. Applying a petroleum-based lubricant will greatly impair the effectiveness and elasticity of the weatherstripping. The petroleum affects the PVC by hardening it over time. Always use a silicone-based lubricant, like the one we carry in our store.